← Guess what I ordered? I want to give a huge THANK YOU to Jessie @ Jessie loves to run for nominating me for the “Beautiful Blogger Award”. I broke the middle finger on my right hand 3 times when I was in gymnastics- it’s permanently crooked. 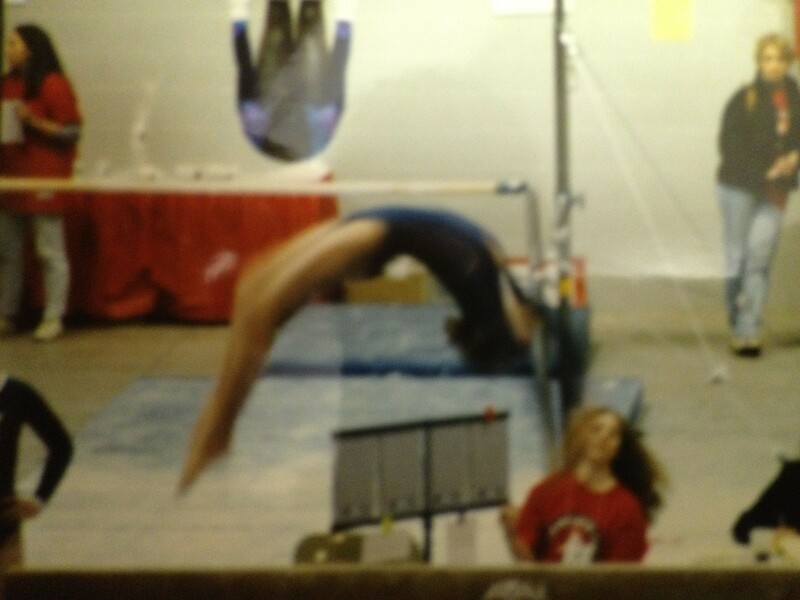 I competed at Nationals and the Junior Olympics in gymnastics back in the 90’s. 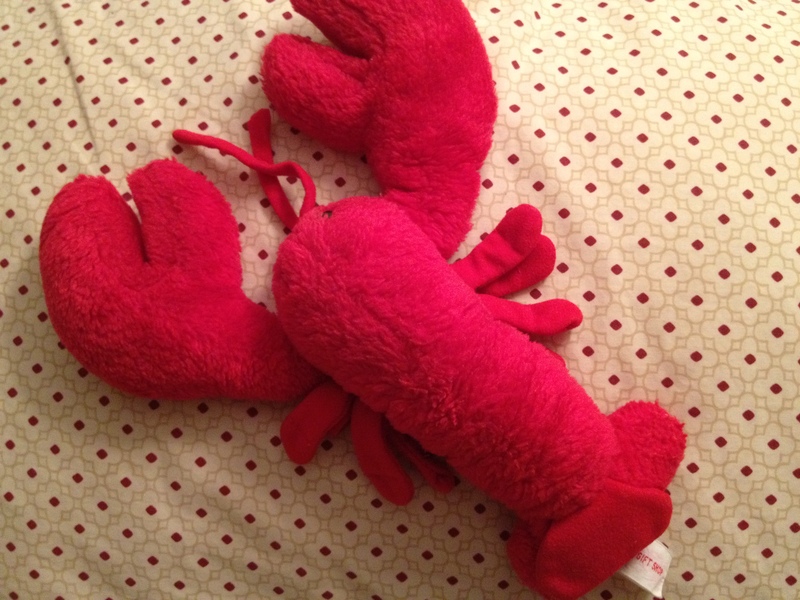 My most favorite food in the world is lobster, and I am emotionally attached to my stuffed lobster (named Lobby- creative huh?). Had him since I was 4. I skydive on a regular basis, and can’t wait to start base jumping, but I will NEVER bungee jump…it totally freaks me out! During the 8 years I have lived in Manhattan, I have had 12 different apartments. 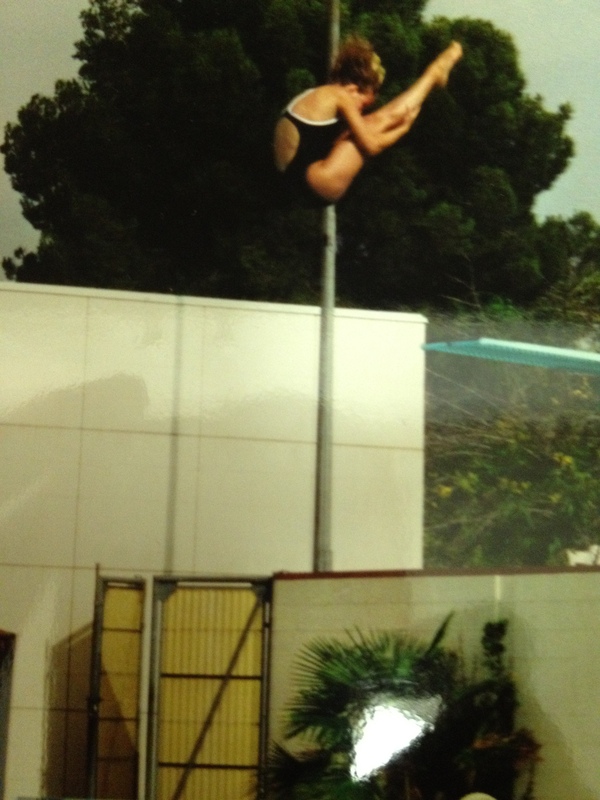 I got a full ride diving scholarship to Cal State, Northridge. And while we are on the subject of awards, who watched gymnastics last night? 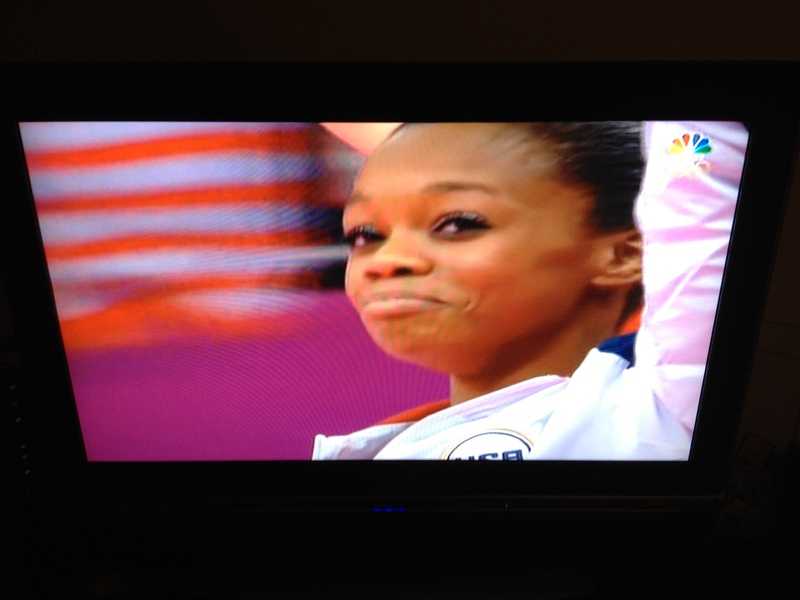 I am so happy for Gabby, I could cry!!! Love her! This entry was posted in Everything Else and tagged Beautiful Blogger Award, Blogs, olympics, random facts. Bookmark the permalink. Awww thank you do much Lish!! So sweet, you made my morning. Diving, gymnastics, running!…you are incredible…a natural athlete! My hubby loves lobster too and when we first started dating I bought him lobster boxers from Gap, lol! and..I totally nominated you! 😉 oh, and do you have twitter? Thank you so much for nominating me!! This brightened my week! You are so welcome! Had to nominate another Michigander! Yes, to the skydiving- favorite hobby of mine- that’s the “jump” part of jump, eat, run 🙂 You definitely should go!! Two sets of twins?! That’s crazy!! Bungee jumping freaks me out too! Just seems like the rope could snap at any moment. I love the Women’s gymanstics team, they are so positive and down to earth. Great people! Whoa, that’s awesome with the diving and all. The fact that you’re scared of bungee jumping boggles my mind–skydiving looks so much scarier to me! I know, its weird, but I dont trust the bungee cords! Haha. Thank you SO much for the award – what a nice surprise! I apologize for just getting back to you now…I’ve hardly been online the past few days. Will be getting on this asap!